With the help of Aspera’s accelerated file transfer software, IBM Cloud Video Streaming Manager and Streaming Manager for Enterprise customers can securely upload large video files at high speed. Click on the “Learn more” button in the file selection area. This will pop up a dialogue window with instructions on how to download the program. Click download and install, and install the program. Once the program has been installed successfully, you will be able to use the feature in your account. Go back to the Video Upload page in your account, select a channel and click “Switch to Aspera upload” in the file selector section. This will prompt the Aspera Connect application to launch. 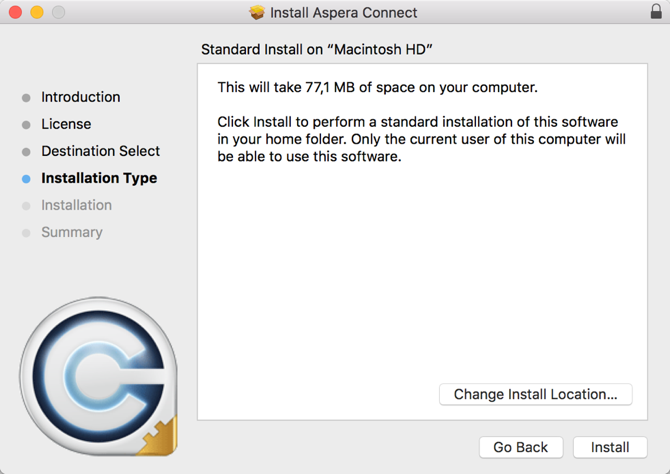 Click on “Open Aspera Connect”. 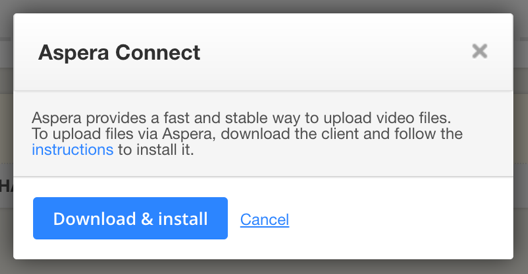 Once you allow the Aspera Connect program to run, navigate back to the Video Upload page and make sure the upload screen says “Upload videos with Aspera Connect”. Select or drag-and-drop video files into the Video Upload section to initiate an upload. This will launch the Aspera Connect app. Uploaded files will appear in the “Processing Queue” in the Video Upload page. Once the files are processed, the title becomes clickable, which will load the video editor page.